Ella B. Jackson, age 82, went home to be with the Heavenly Father on January 13,2019. She was surrounded by her loving husband and her three children. Ella spent her early years in Bessemer, Alabama with her parents and sister. There she attended Muscoda Elementary School until she and her family moved to Detroit, Michigan, where she attended Highland Park Elementary School. After 3years, the family returned to Alabama where she attended and graduated from Wenonah High School. She was captain of the basketball team, a cheerleader, and participated in a number of other sports. It was in Bessemer, Alabama where she met the love of her lifetime, Clifford Jackson. The two traveled to Quitman, Mississippi to elope on September 2,1954. They eventually moved to Columbus, Ohio in 1958. There was no doubt in this world that Ella loved Clifford, and that Clifford loved Ella. You could often see them in matching clothes, which is only a minor display of their connection. Their marriage can only be described as an unconditional love that many hope to have. Ella was a true servant of the Lord. She was baptized at an early age under the late G.W. Gardner, of Mt Hebron Baptist Church and served there until she moved. In Columbus, her and her husband searched for a church home for a long time. They went from church to church until they joined Mt. Period Baptist Church under the leadership of the late Pastor Jerry M. Carter Sr. on October 30, 1979.She served as a Deaconess, treasurer, choir member, missionary, Sunday School student, and participated in adult ministry classes. She truly loved her extended, church family. She is proceeded in death by her parents Jessie and Lula Mae Greene and 2 sisters-in-laws: Christine Hancock and Emma Jackson. 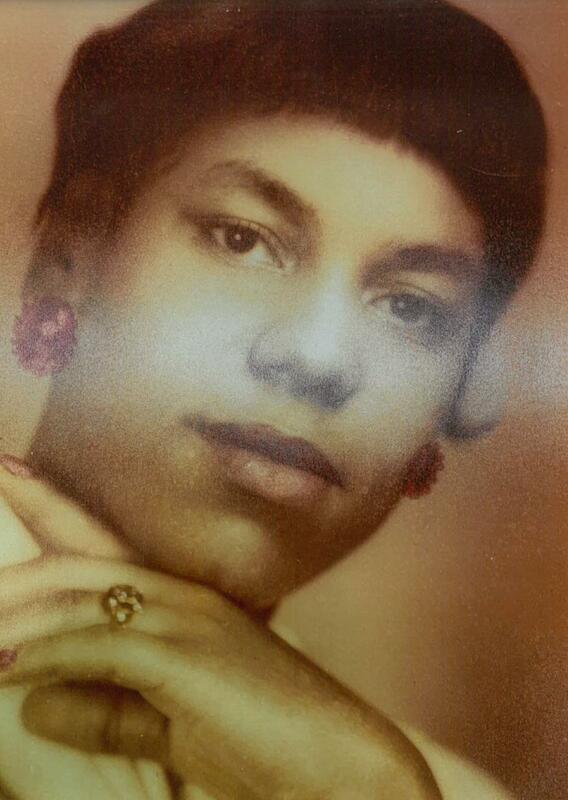 She is survived and will be missed by her soul mate of 64 years, Clifford Jackson Sr.; their children: Juanika (Jerry) Bohanna, Cynthia (Kenneth) Castleman, and Clifford Jr.; their grandchildren: Katrina Sullivan, Keyona Castleman, and Dijone Jackson; and their great-grandchildren: Shamir Burns and Amari Jackson. She is also survived by her sister, Jacqueline Williams; her brother-in-law, Eddie Jackson; sisters-in-laws: Claudette Mitchell and Doris Jackson; special friend, Hester Harper; and a host of nieces, nephews, cousins and friends and her Mt. Period Church family. Ella will be remembered as a loving matriarch who was dedicated to loving and supporting her family and friends. Whether you called her your wife, your mom, your maw-maw, your sister, your aunt Beadie, or Mrs. Jackson, you could never deny that she loved you with all that she had. She was a wonderful cook who made food that tasted better than anything that you’d ever had before. She exuded confidence and elegance whenever she stepped into a room. She truly was one of a kind, and it was an honor and a blessing to have her in our lives. While it is unimaginably hard for us, as her family and friends, to imagine this world without her, we have so many precious memories that we will hold in our hearts to cherish forever. Visitation 10:00am and Funeral 11:00am Monday, January 21, 2019 at Mt. Period Baptist Church, 462 Kimball Place. I am so sorry to read about Ms. Ella’ s passing.My deepest sympathy to all. My condolences to the family, May the God who binds up the brokenhearted and comfort all who mourn sustain your family during this difficult time. Mrs. Jackson was always very loving and kind to me. I will miss her very much. So sad to here of the passing of Sis.Jackson, she was diffently an intracant part of Mt.Period. She will be missed. To the family of Mrs. Ella Jackson. Absent from the body is present with the lord our God. And he shall wipe all tears away. She shall be missed, but never forgotten. We are deeply sorry for the loss of your dear mother and soul mate. She truly was a loving and gracious woman that we have had the pleasure of knowing. May the Lord provide you comfort during this trying time. We love you! I send my condolences to Mrs . Ella’s beautiful family. The brief time I got to meet you and her was nothing but loving. May God give you all with the strength you need at this time . I was blessed to meet this wonderful and beautiful person. God bless.